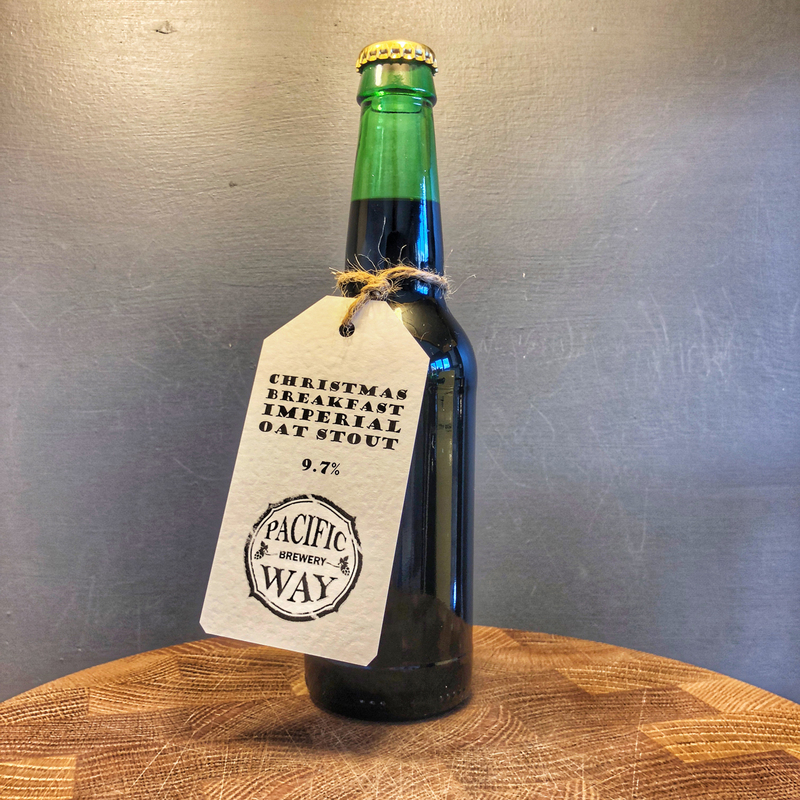 Christmas comes but once a year and that calls for a special brew. 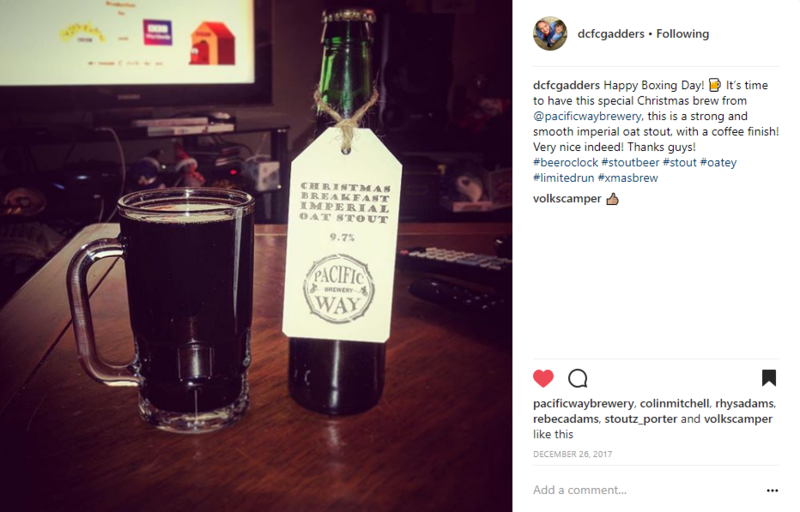 Back in early November Martin and I started thinking about our next brew and with Christmas looming we didn’t have much time to brew, ferment and bottle condition for the big day. 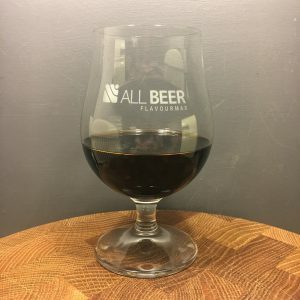 I put together a new recipe based on our original oat stout but put it on overdrive – we were going big or going home on this one. 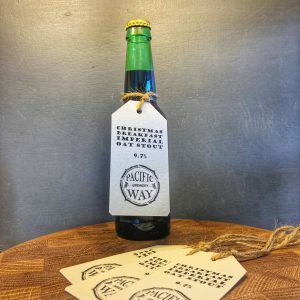 Opting to brew a 25 litre batch on our gravity fed BrewTree the final grain bill came in at a mighty 9 kilograms with another 500 grams of brown sugar added just for good measure – I designed the recipe to get close to the 10% ABV mark. 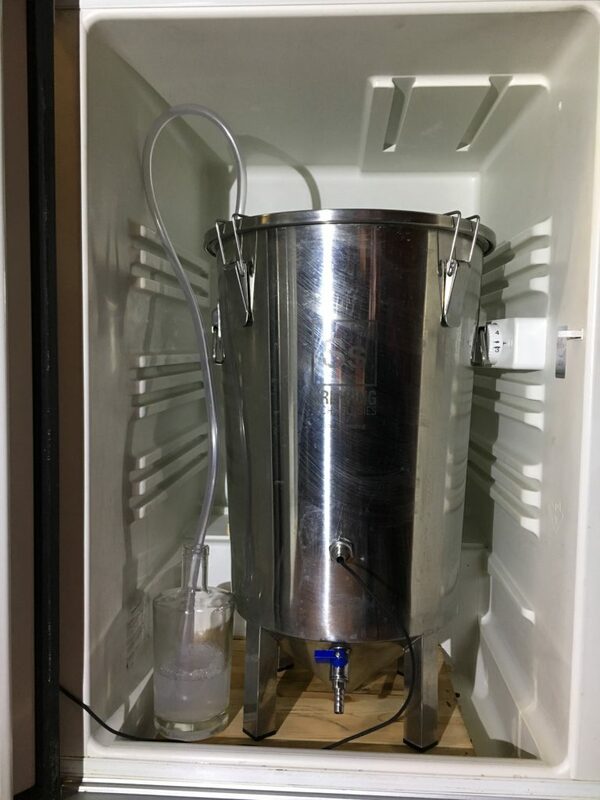 On the 11th November 2018 the Buffalo 40 litre stainless steel electric HLT was automatically set to come on at 7am and after weighing out the grain we were ready to mash in an hour later. Using the 45 litre Igloo cool box for this brew it took a while to get all the grain and oats evenly mixed at the expense of loosing valuable heat (it’s not a heated mash tun) but with the strike water slightly higher, the mash tun pre-warmed with boiling water and our grain stored in the house the night before, we achieved our strike goal and shut the lid for an hour. After checking for conversion we sparged with the rotating arm that’s gravity fed from the HLT and slowly watched the sweet nectar trickle into the 56 litre stainless steel boiler. 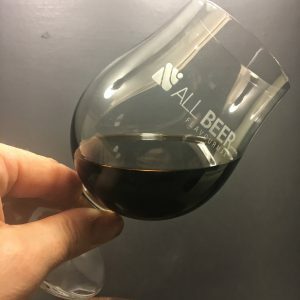 I’ll not lie to you here, the oats were a sticky mess and bound the grain together making for an almost stuck mash – but with a little persuasion and a lot of time we achieved our starting volume. 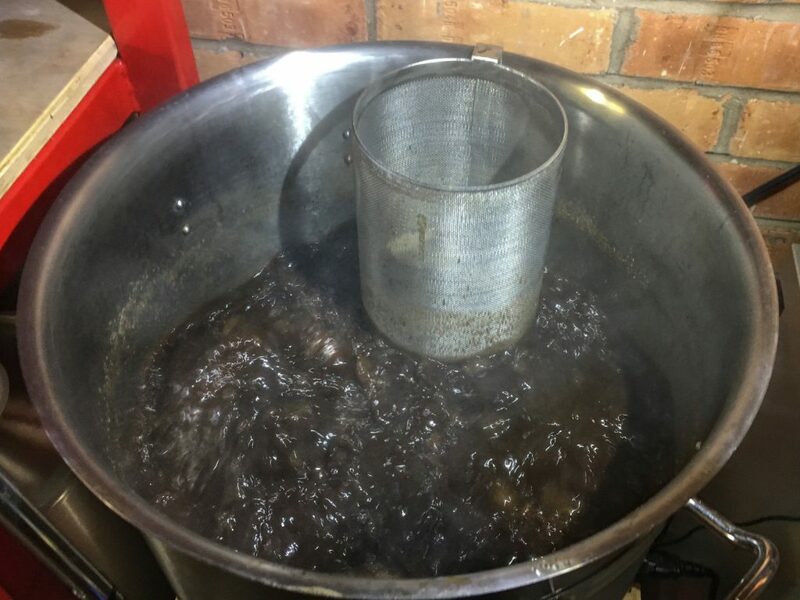 As soon as the wort covered the two 2.4Kw electric elements they get switched on to get the boiling process started. By using two elements we get a vigorous boil so once it’s reached boiling we turn one element off to maintain a rolling boil. 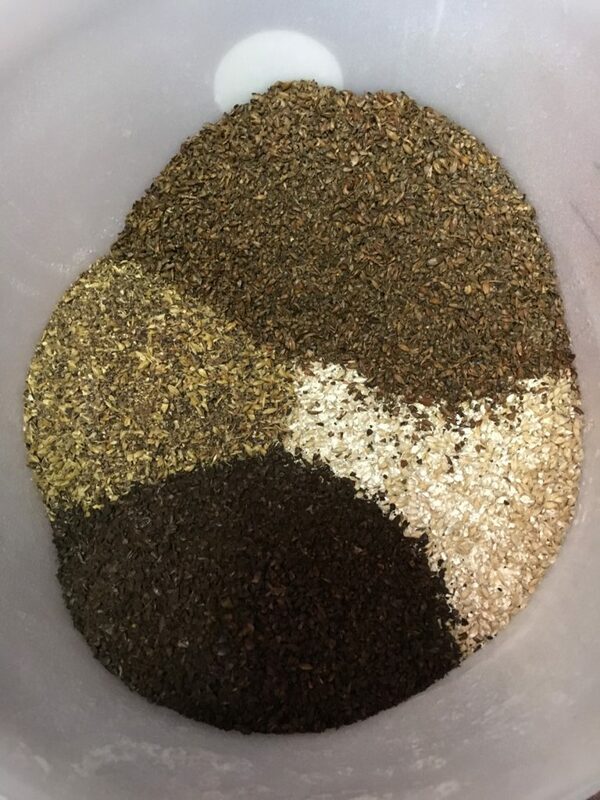 We’re still using a hop spider to reduce debris and the bittering hops get chucked into the spider at the start of the boil. An hour later, just before the boil had finished we took a sample and let it cool a little. 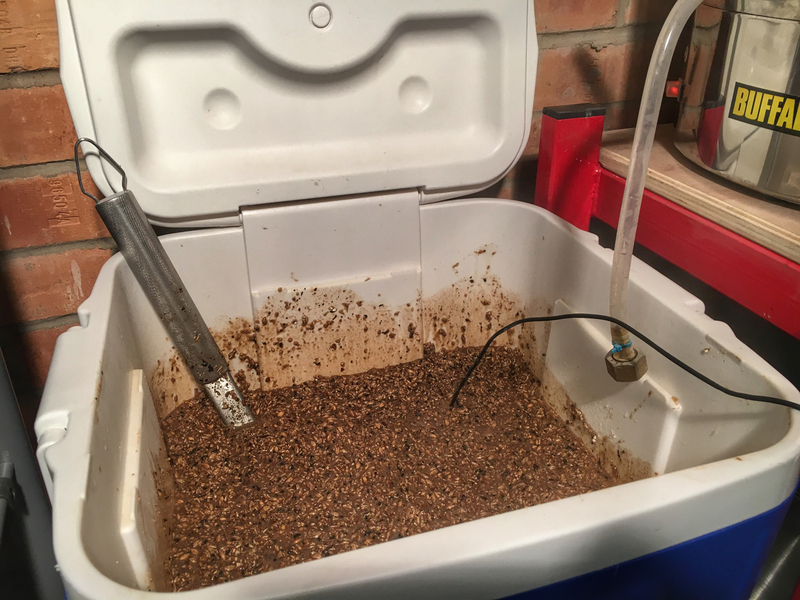 It told us the starting gravity was pretty good at 1.077 (adjusted), but we wanted more. 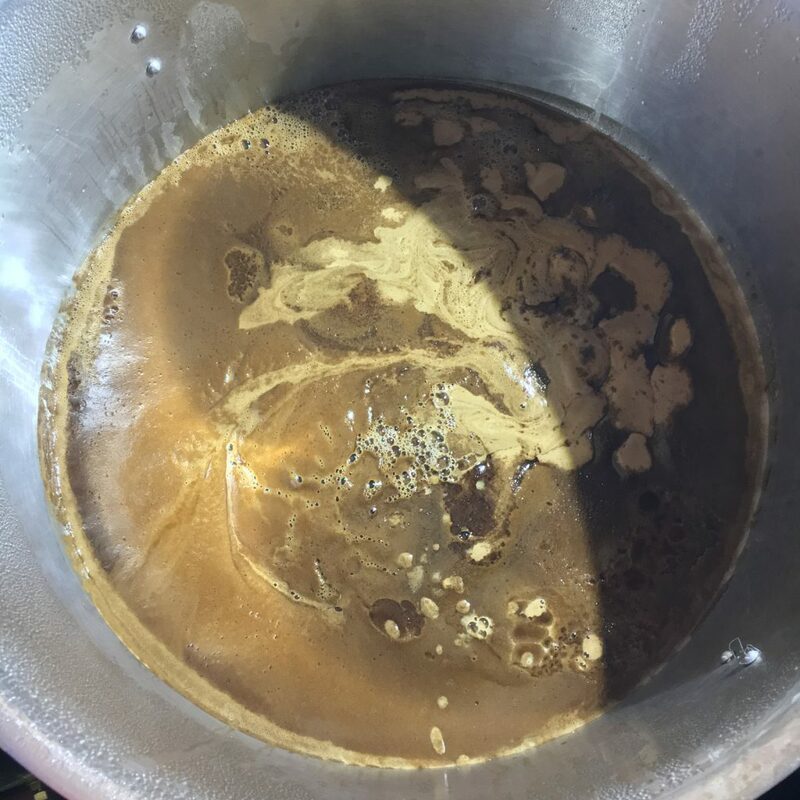 We dissolved the measured brown sugar in a jug of hot wort and added it back into the boil. 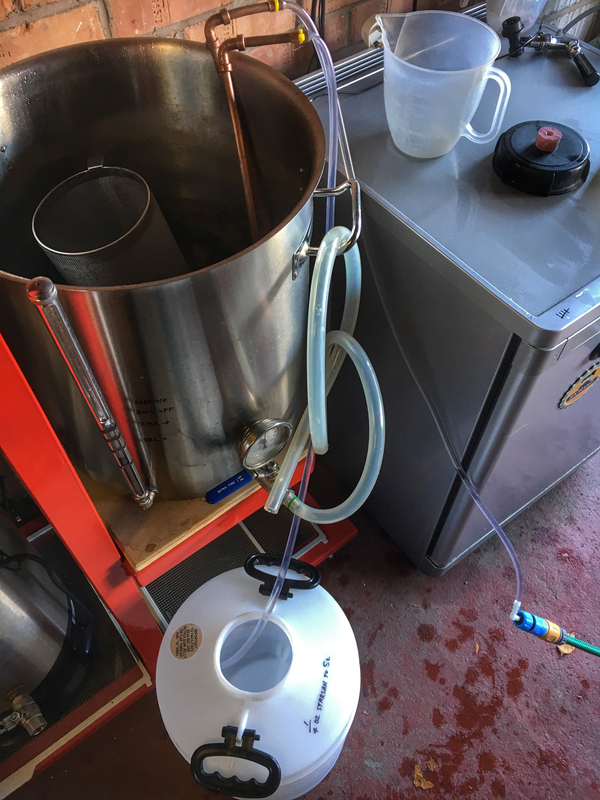 A few moments later we lowered the immersion chiller into the boil to sanitise and we added the aroma hops at ‘flame out’ The tap water temperature is pretty cold at this time of year in the UK so cooling the wort with the immersion chiller is quicker than in the summer. 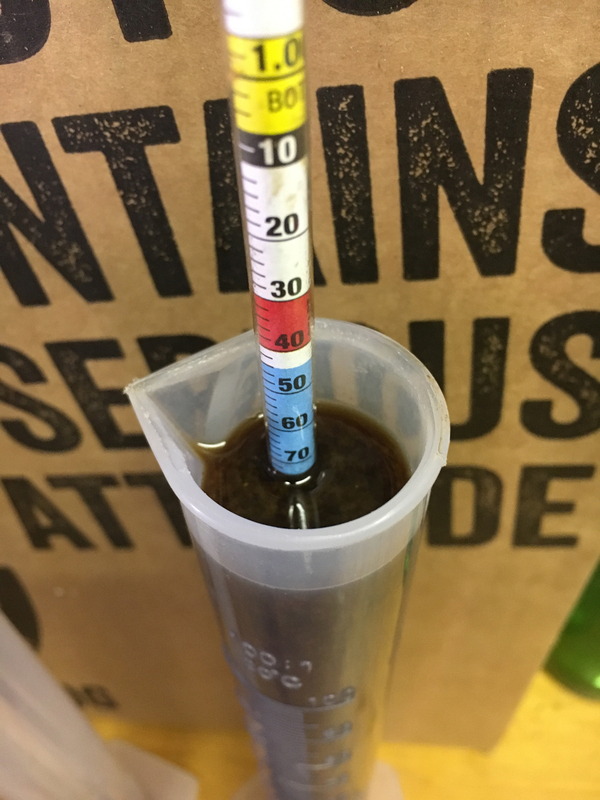 We transferred the wort to the fermenter and took the starting gravity reading. 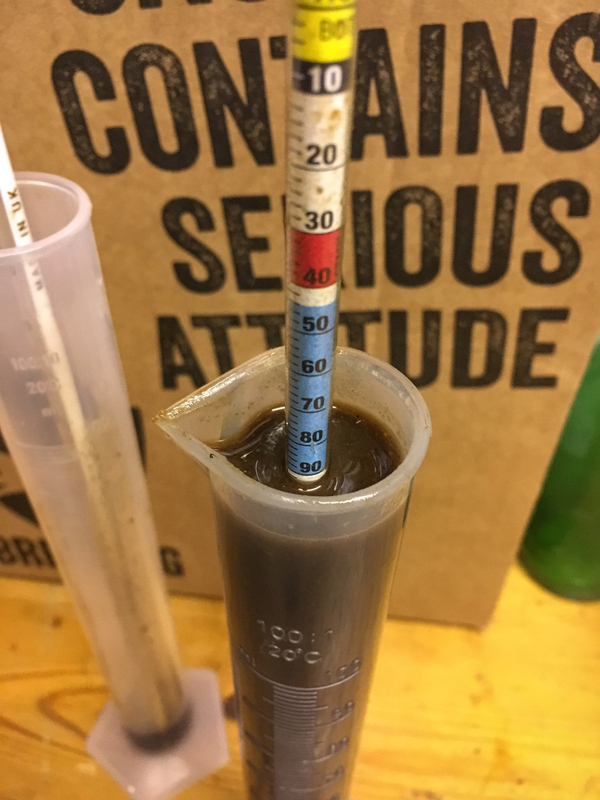 The new starting gravity of 1.094 (adjusted) should get us close to the magic 10% ABV but just look at that sticky sweet mess! 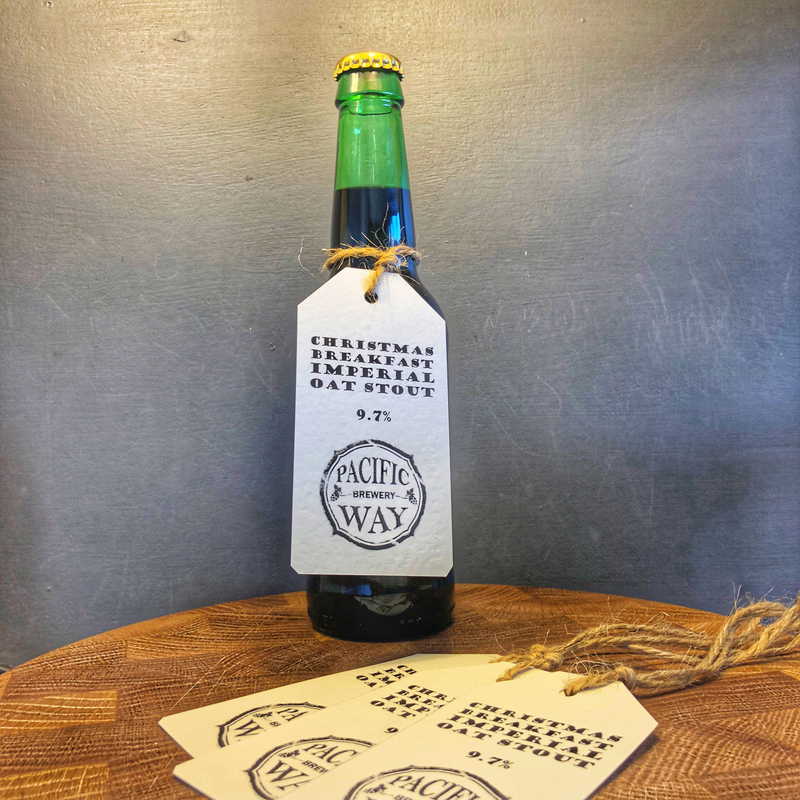 Once the wort temperature was down in the fermenter we pitched the yeast. 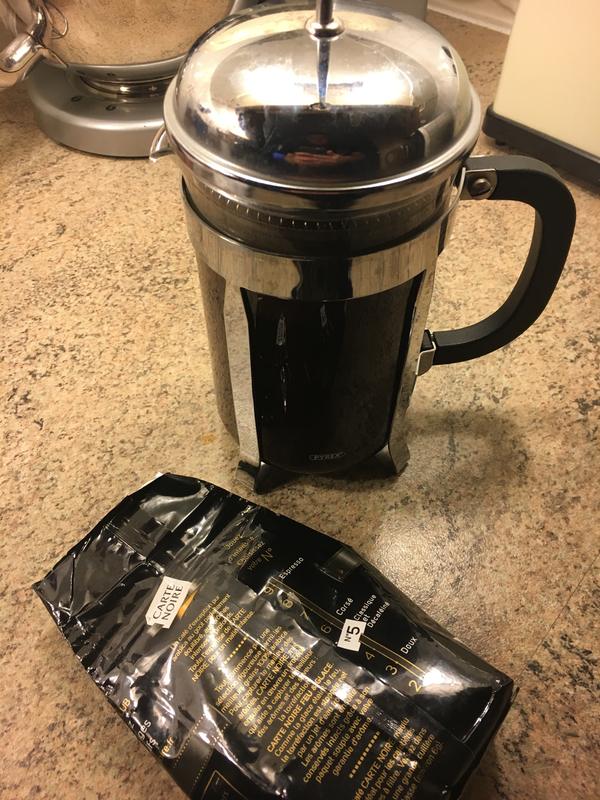 I cold brewed some ground coffee in a sanitised cafetiere, left it overnight and on the 5th December I added it to the fermenter. 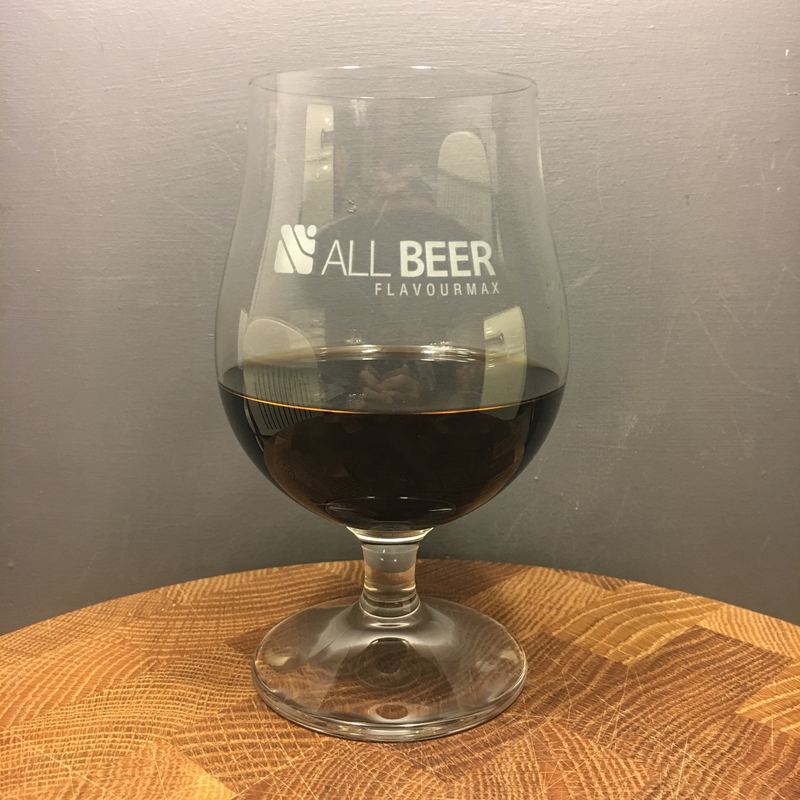 A few days later a sample was looking and tasting FANTASTIC, bold and rich with a nice finish of coffee – it came in at 9.7% ABV. On the 10th December we bottled the Christmas Breakfast Imperial Oat Stout into 330ml bottles – at 9.7% a 330ml bottle is more than enough. 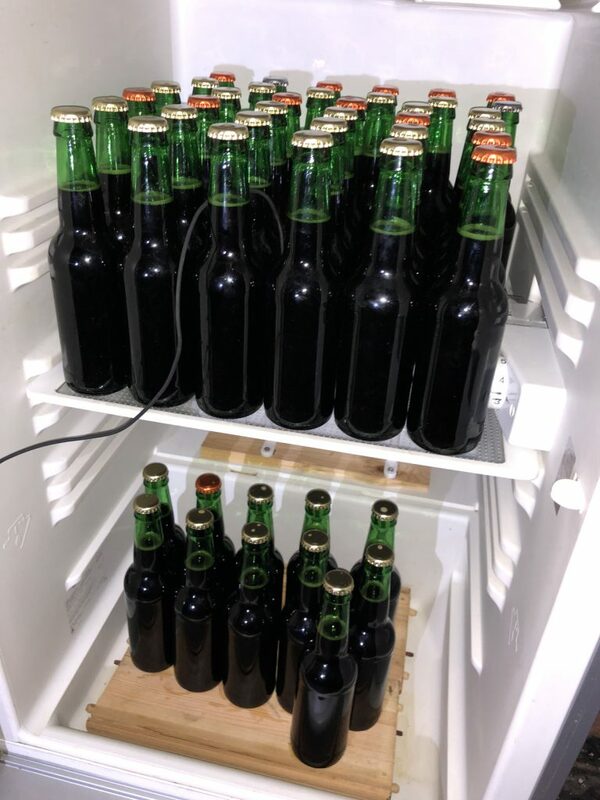 The bottles went back into the fermentation chamber (a temperature controlled fridge with a tube heater) for bottle conditioning until Christmas day. 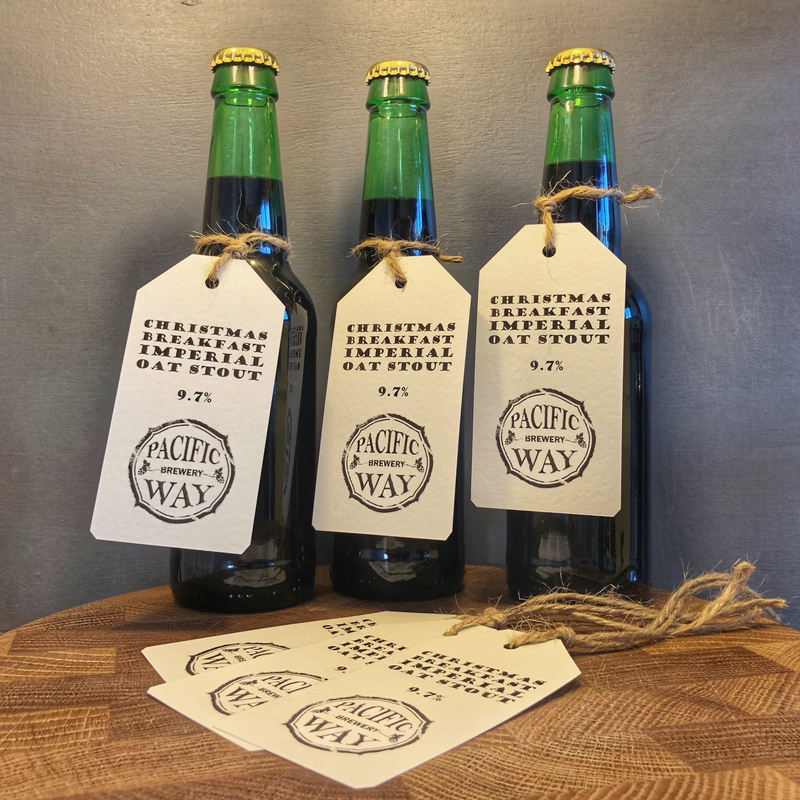 We printed some basic tags, tied them on with string and they were all ready for Santa’s sack. We’re really happy with the way this turned out, It’s a big hitter with a solid mouth feel, lots of chocolate flavour and a smack of coffee. 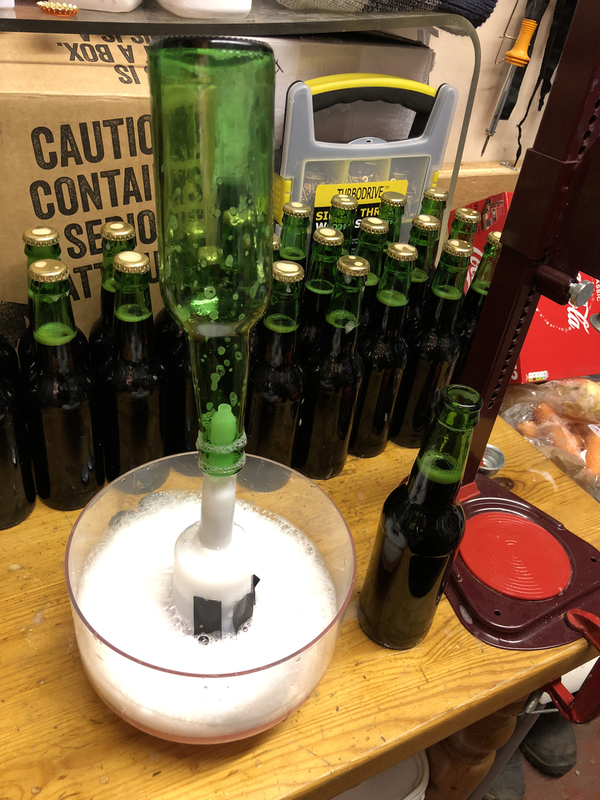 It did manage to carbonate in 15 days, but there was zero head retention and this is something that I’ll try to address the next time we brew this recipe. 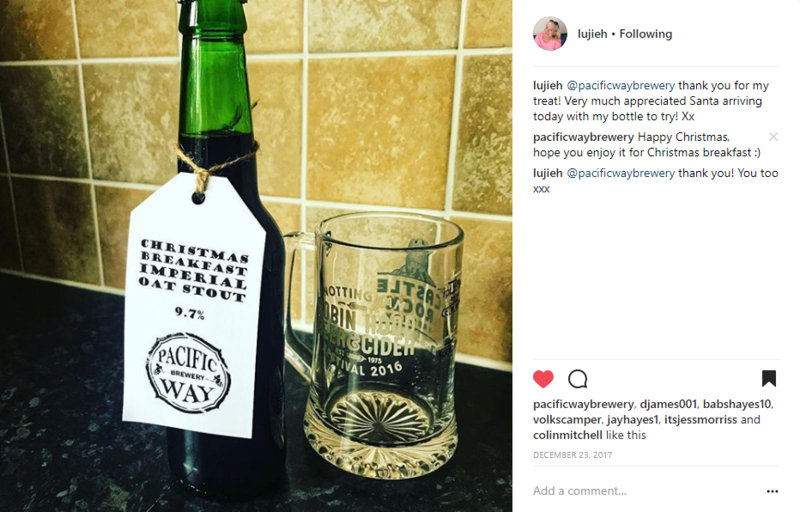 If you want to keep up with us on a brewday then you could check us out on our new Instagram account.